DFL-DE data recovery tool has integrated automatic hdd repair solutions to common Seagate, Samsung and Western digital HDD failures. For Seagate 7200.12 hard disk drive, It has one very common hdd failure-the sectors are accessed to a certain LBA and then the remained sectors cannot be read. Many hdd repair tools cannot repair this one at all or cannot repair it properly. What’s the fact behind this failure? This hdd failure is usually caused by a failure to fix another common hdd problem of Seagate 7200.12-Cap=0 or Busy problem. To fix the ‘Cap=0 or busy’ problem, it is necessary to use ‘M’ command to regenerate the translator. However, when there’s damage in the defects list-G or P-list, the regenerated G-list translator or P-list translator will not work normally and doesn’t match the original zone allocation tables. At this time, the initial sectors of HDD suffering this kind of failure can be accessed but the remained sectors fail to be accessed. 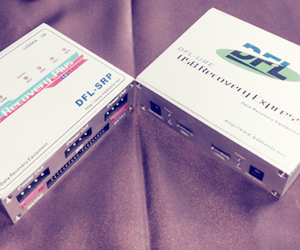 DFL-DE data recovery tool is able to fix above failure perfectly now by COM port to transfer special HDD Command. DFL-DE data recovery tool is able to restore the damaged hdd and then recover the data using its another module-file recovery module. Besides repairing Seagate 7200.12 HDD Sector Access Interruptions, DFL-DE repairs automatically other common HDD failures of Seagate, Western Digital and Samsung hard drives. DFL-DE data recovery tool is the latest and first-class data recovery equipment, it has three modules integrated: disk imaging module, file recovery module and automatic hdd repair module. DFL-DE data recovery tool is the best data recovery tool for those who start a data recovery business.